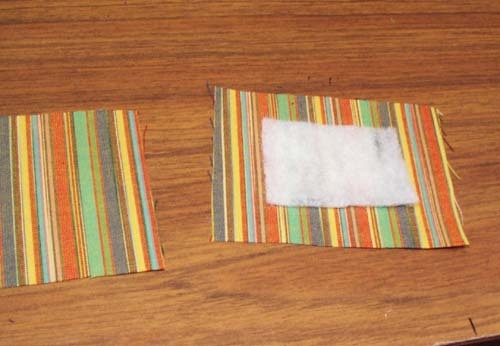 A ragged, patchwork homespun quilted winter scarf using 4" homespun quilt squares is very simple and easy to assemble. It's very soft and cozy. Shown here using the bright homespun squares but also looks great using the warm reds and navys. 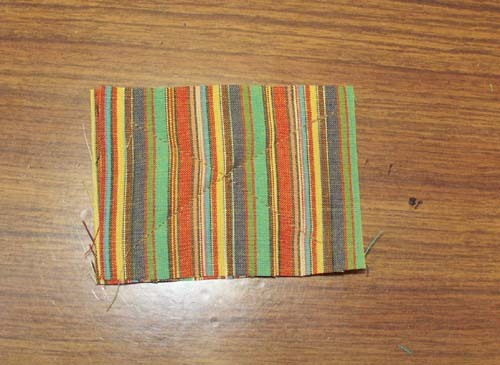 Review this page about how to make a rag quilt square. 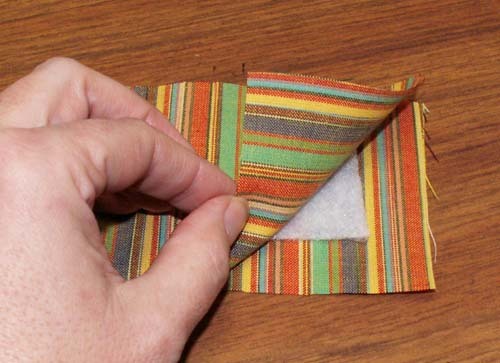 Review this page about how to clip a rag quilt. Cut batting 1.5-2 inches smaller than your quilt squares. Center batting on one square. Top with another square to make a "sandwich". Stitch the squares together with a 5/8" seam, to form a scarf that is 2 squares wide by 28 squares long. Be sure to keep the batting inside the stitch line. Batting should NOT extend into the seam allowance. Size/length of the scarf may be adjusted according to taste. Backstitching to secure the seams must be done 5/8" from all edges. Otherwise the backstitching will be lost when the homespun "frays". Stitch 5/8" from the edges all the way around the length of the scarf. Clip the seams allowances and edges 1/2" deep and 1/2" apart being very careful to not clip into the stitching. Machine wash on cold using detergent and liquid fabric softener. (optional) Shake before drying to remove loose strings. Embellish with buttons if desired.